In the spirit of participatory design, and as result of the merging of the iTEC work packages WP2 and WP3, we redesigned our iTEC website. The new URL is http://itec.aalto.fi (old URL redirects). The new site acts as the place for teachers and students across Europe to interact with the iTEC project from scenario development to prototype and pilot design. 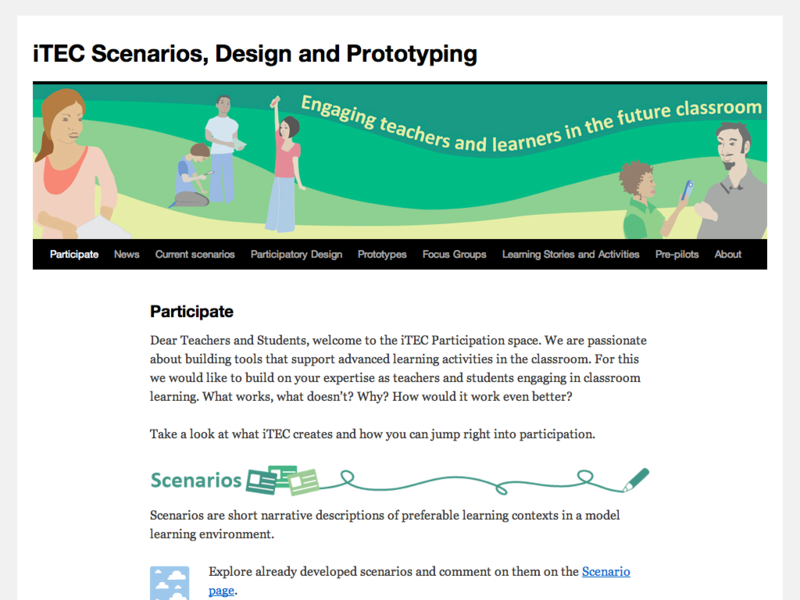 The page directly calls for teachers and students to participate, and includes news, scenarios (provided by Futurelab), information on participatory design workshops, descriptions of our prototypes, learning stories and learning activities. The page is still under development and growing as the project is going on. To keep the design process even more transparent and open for teachers and students, we are planning to publish summaries of Focus Group sessions, as well as design challenges and opportunities in the near future.